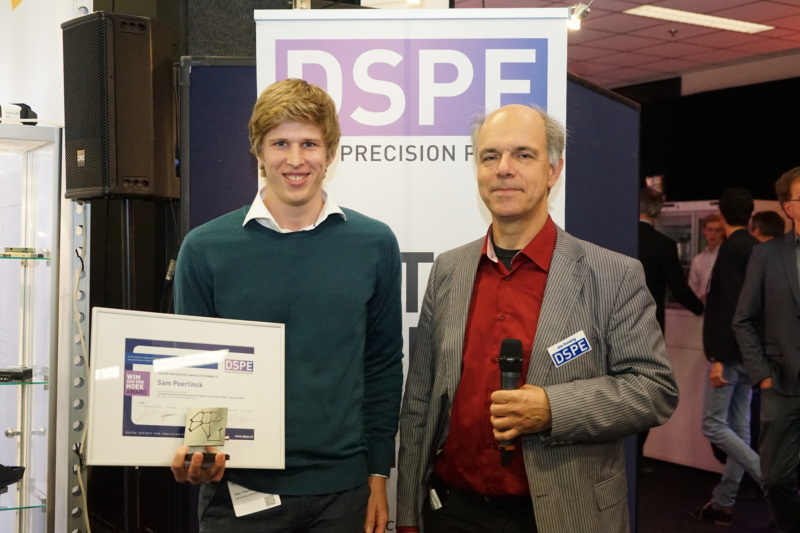 At the seventeenth edition of the Precision Fair, held on 15 and 16 November in Veldhoven, the Netherlands, DSPE (Dutch Society for Precision Engineering) presented the Wim van der Hoek Award, also known as the Constructors Award, to Sam Peerlinck (KU Leuven, Belgium). Out of nine nominees, the jury selected Peerlinck as the winner of this design engineering award for his well-founded, very readable and wide-ranging model study of asymmetrically moving cilia (protuberances from biological cells) for fluid propulsion. The second day of the Precision Fair 2017, Thursday 16 November, featured the presentation of the Wim van der Hoek Award. This award (also known as the Constructors Award) was introduced in 2006 to mark the 80th birthday of the Dutch doyen of design engineering principles, Wim van der Hoek. The Constructors Award is presented every year to the person with the best graduation project in the field of design in mechanical engineering at the Dutch (and Belgian) universities of technology and universities of applied sciences. This award includes a certificate, a trophy made by LiS (Leiden Instrument Makers School) and a sum of money (sponsored by the 4TU federation). Criteria for the assessment of the graduation theses include quality of the design, substantiation and innovativeness, as well as the suitability for use as teaching materials. 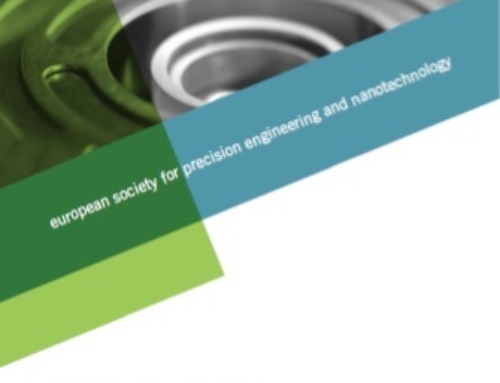 The jury, under the presidency of DSPE board member Jos Gunsing (MaromeTech), received nine nominations (by far the largest number in the award’s history), each submitted by the graduation supervisor/professor of the student concerned. A total of two universities of applied sciences and three universities nominated candidates: Avans Hogeschool Breda, Fontys Hogescholen, KU Leuven (Belgium), TU Delft and TU Eindhoven. Following a careful assessment, the jury selected Sam Peerlinck (KU Leuven) – the first winner from Belgium since the start of the award in 2006 – for his thesis “Asymmetrisch bewegende cilia voor vloeistofpropulsie bij lage Reynoldsgetallen: een fysisch model” (Asymmetrically moving cilia for fluid propulsion at low Reynolds numbers; a physical model). In his Master’s project, Peerlinck was the first to create an artificial cilia surface that is capable of imitating all asymmetric characteristics of biological cilia (cilia are organelles found in eukaryotic cells; these are slender protuberances some tens of micrometers in length that can propel small volumes of fluid). The jury praised Peerlinck’s choice for this challenging subject and valued the wide scope of his project, ranging from ideation and theoretical foundation to the realisation of test equipment and performing actual tests. The physics of the subject was described thoroughly and overall the thesis was rated as very readable. The jury acknowledges that it still is a long way from a real application but sees the potential for lab-on-a-chip design and inkjet printing.